In order to get a few more cards made for my stash I have translated some card kits into cards!! These are from my March class. A very versatile sketch in that you can change up the paper and the elements to suit almost any occasion. Since I designed these I have seen some used landscape as shirt fronts with a tie for guy cards and also with the folds facing the other way for a different look. I suppose they might even work the other way in the landscape orientation if you put our focal element on the bottom edge of the card with the flaps sort of simulating tent flaps. I will keep those in mind for next time around. 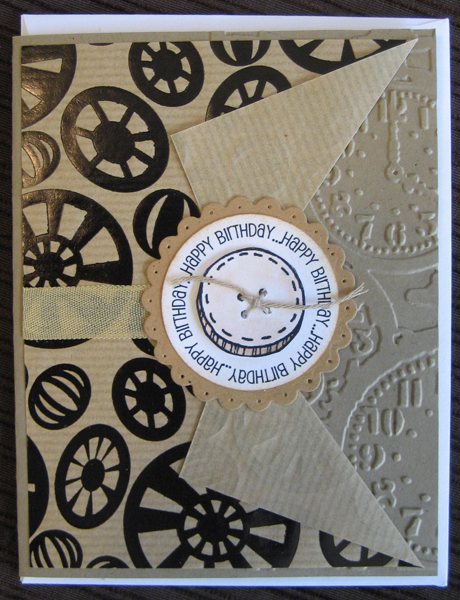 For these cards the front right hand edge of the card was embossed with coordinating embossing folders. The decorative paper was cut from the left edge about 1.75" at the center point and a line scored from the end of the cut to each corner and then the flaps folded out. I used a small piece of double side tape to secure each flap placing them very close to the fold and folding them back to secure them. I added a short piece of ribbon or seam binding from the bottom of the V fold to the outside edge of the decorative paper securing the ends to the back with double sided tape. These were then adhered to the embossed card fronts. They all have round layered greetings. The top one has a round laser printed greeting (The Spruce) which was punched out (1.75" SU) and layered onto a brown scalloped circle (Nestiblilities) which was paper pierced in each scallop using a push pin. The button (Torico) was fussy cut and water coloured to coordinate. It was adhered in the center of the greeting with 3D foam tape and the layered greeting was also mounted to the card front using 3D foam tape. 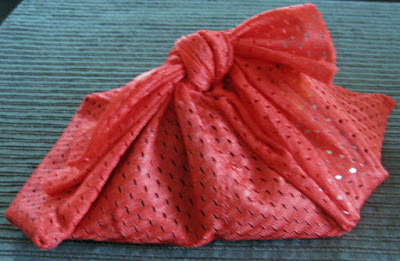 I used brown thread and a needle to embellish the button before mounting it. 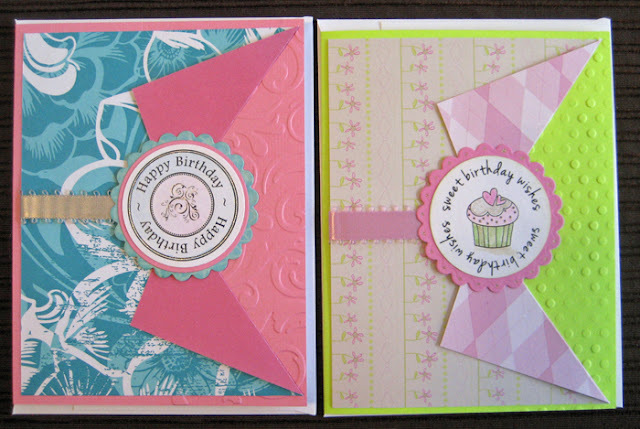 These two both have laser printed greetings (Netty's cards and Desert Diva with a cupcake) which I watercoloured. Two coordinating layers on the first one with some clear glitter gel pen on the slim ring. One scalloped circle on the second one with clear glitter gel pen on the scallops and the icing of the cupcake. These were mounted to their card fronts using 3D foam tape. 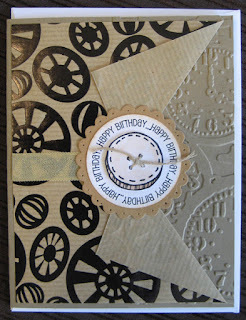 It is fun to create with these card kits and certainly quick and easy as well.